EC Montreal’s Annual Corn Festival! Yesterday, EC Montreal held its annual Corn Festival at the school. It is corn season in the province of Quebec. We have miles and miles of corn fields in nearby farms. Quebec corn is typically sweeter. It has two colours; white and yellow. They call this “peaches and cream” kernals. The whiter the kernals, the sweeter the corn. We went directly to the farm to pick up ten dozen corn on the cobs. We chucked, cleaned, cut and boiled them. At the school, we smothered them in butter and roasted them on our grill. The smell of butter and the sweetness of the corn drifted along the school corridors and into the classrooms. It aromas were heavenly! 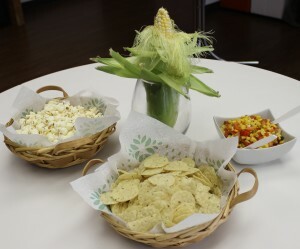 We also served corn chips, popcorn and delicious corn salsa! Each table had corn decorations. 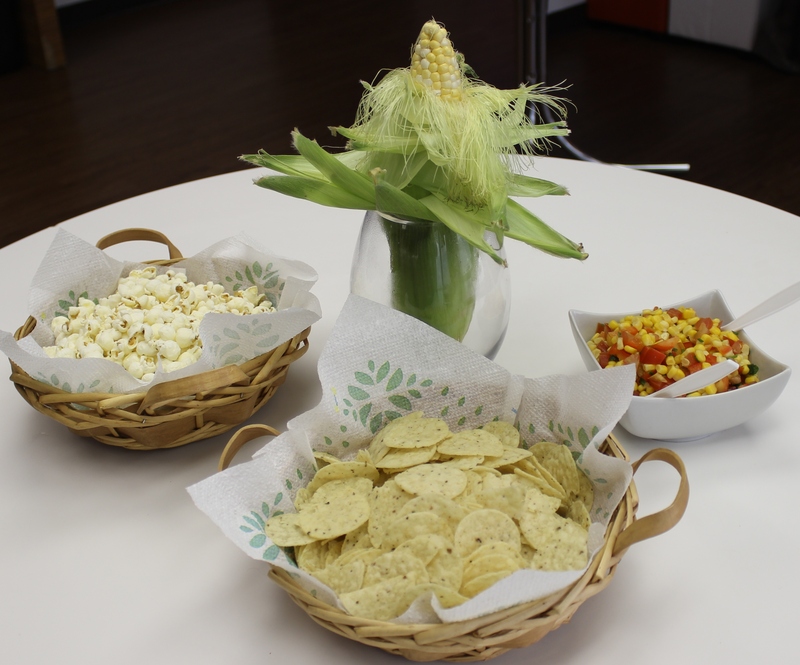 We created a festive atmosphere to celebrate this special corn season! 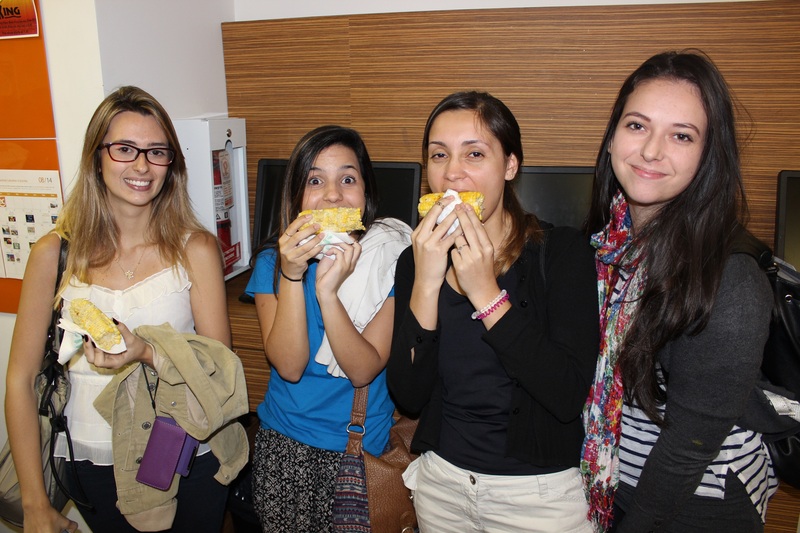 At EC Montreal, we love to give our students a taste of our local flavours. Every month, we introduce students to what we call “a taste of Montreal”. The month of September, for example, is apple season. These festivals and social activities also give our students wonderful opportunities to interact with one another. Life is sweet as corn at EC Montreal!